Mary got up and went quickly to a town in the hill country of Judea. She went into Zechariah's house and greeted Elizabeth. When Elizabeth heard Mary's greeting, the unborn baby inside Elizabeth jumped. Then Elizabeth was filled with the Holy Spirit. Elizabeth said with a loud voice, "God has blessed you (Mary) more than any other woman. 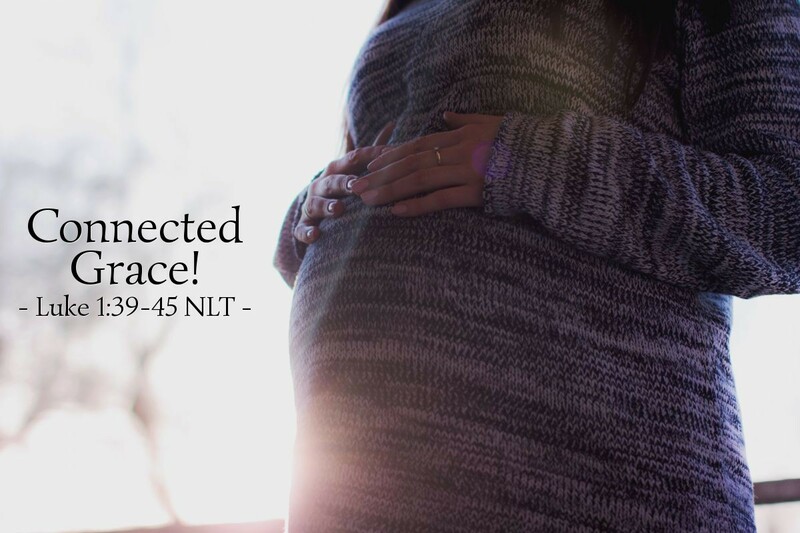 And God has blessed the baby which you will give birth to. You are the mother of my Lord, and you have come to me! Why has something so good happened to me? When I heard your voice, the baby inside me jumped with joy. What a blessing is yours because you believed what the Lord (God) said to you! You believed this would happen." What a glorious way God connected two different promises delivered by the angel to two precious women. He promised Elizabeth that her son would be filled by the Spirit from the womb, and sure enough, her son stirred at the voice of Mary and the presence of the newly conceived Messiah. He also promised Mary that Elizabeth was pregnant and that this pregnancy was the confirmation of God's miracle. Mary's faith was strengthened and both women were blessed. While we may never have experienced an encounter with the angel Gabriel, we have received a host of promises from God which can be accepted only by faith. However, our faith remains small and often unblessed until we begin to act on that faith. That active faith then opens the door for God's blessing and confirmation. So what promise from Scripture has God laid on your heart recently that you are not acting on because of your doubt? Why not prayerfully re-examine that promise and then act obediently in response to God's word? O glorious God and Father, "I believe; help my unbelief!" Forgive me for letting my doubt and my circumstances interfere with my obedience. Give me the courage to obey your commands and to respond to your promises in faith. In Jesus' name, I pray. Amen. Note: The quotation in the prayer is from Mark 9:24 NRSV.